Are Smoothies for Breakfast Really Healthy? Smoothies seem like the perfect way to meet our daily fruit and vegetable goals and get a hit of vitamins and minerals first thing in the morning.. But are they really all they’re cracked up to be?. I decided to find out once and for all if smoothies for breakfast are a healthy way to start the day so I did some digging – here’s what I found out. There’s a lot of debate around how many servings of fruits and vegetables we should be eating daily. We’ve all heard of the five-a-day rule, but newer research says it may be better to eat even more. One thing that’s for sure is that Americans aren’t even close to hitting their targets. A whopping 87% of Americans don’t meet their recommended fruit consumption, and 91% don’t eat enough vegetables, says a 2015 CDC report. This is a shocking statistic, don’t you think? 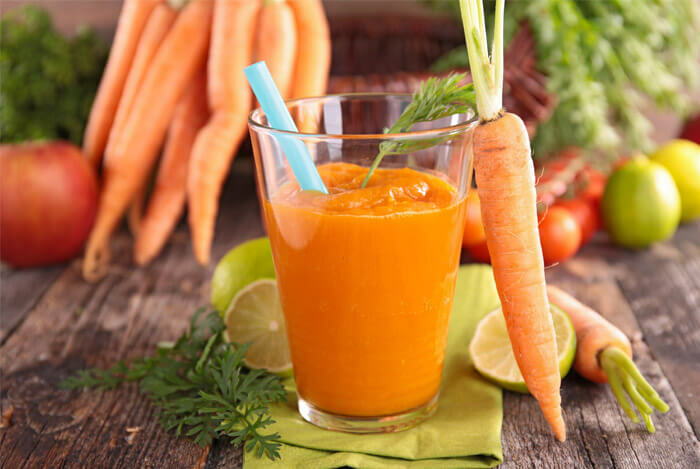 Smoothies are a great way to increase fruit and vegetable intake – especially if you can’t stomach the thought of munching on the whole food version, or are just too busy to do so. Liquid fruit and vegetables can also be an effective (and sneaky) way of getting kids to hit their targets. In a 2015 study, it was found that only 4.3% of kids eating a school breakfast had a serving of fruit. When the school offered morning smoothies, that number shot up to 45%. This is one area where smoothies come under a lot of fire – some can pack in more calories than a dessert – and that’s no exaggeration. Planet Smoothie’s 22 oz PBJ packs in 710 calories, while their 32 oz serving has 990 calories. Even the healthier sounding Planet Pro® Lite Banana & PB contains 540 calories per 22 oz or 710 per 32 oz. Smoothie King’s ‘The Hulk Strawberry’ shake contains 964 calories per 20 oz serving, or 1,446 per 32 oz. Even if you ‘Make it Skinny’ you’ll still be eating 864 calories in a 20 oz or 1,296 in a 32 oz! By comparison, a McDonald’s Hot Fudge Sundae has just 330 calories. Of course, there are plenty of low calorie smoothie options out there, like the Starbucks Sweet Greens Smoothie at 170 calories, or their Strawberry flavor at 200 calories. Containing ingredients like fruits, fruit juices, honey, agave syrup, dates, flavored yogurts and more, smoothies can quickly add up in terms of their sugar content. Take, for example, Starbuck’s Strawberry Smoothie. While it does well on the calorie front, it’s less impressive when you look at its sugar content. At 41 grams per shake, it has 2 grams more sugar than a 12 oz can of Coca-Cola. Smoothie King’s Hulk Strawberry blend has 125 grams of sugar per standard 20 oz serving, while their Orange Ka-Bam has 108 grams. Even the ironically named Angel Food on the Slim Blend list has 75 grams of sugar. While some sugar isn’t that big of a deal, it’s easy to consume quite a lot with many smoothies. You may wonder if smoothies have any fat in them – after all, they’re just blended fruits, vegetables and a few extras. 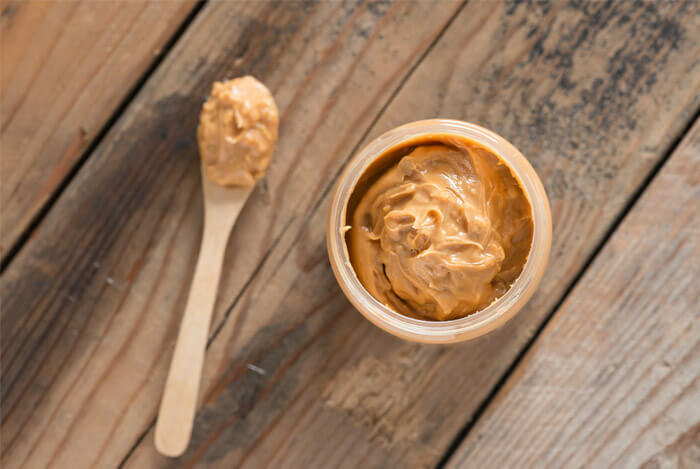 But when the extras consist of things like peanut butter, yogurt, avocado, coconut milk or even coconut oil, then fat content can add up quickly. Of course, dietary fat is an important and even vital part of our diets, but too much isn’t good. 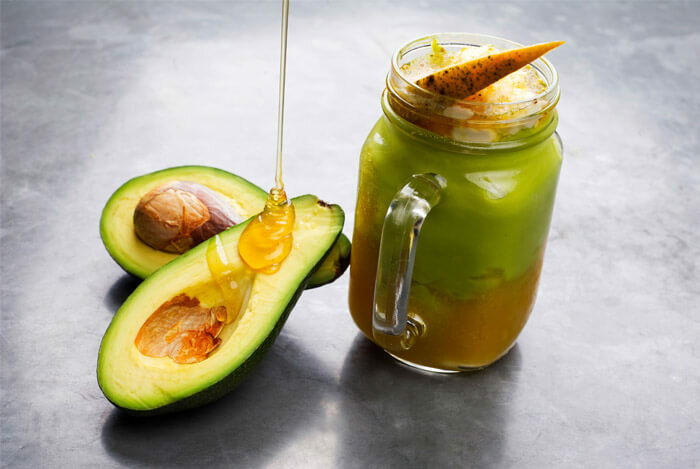 If you blend your own smoothies, or buy ones with a sensible amount of fat sources, then you have nothing to be worried about on the fat front. But if you routinely sip on a 22 oz PBJ from Planet Smoothie for breakfast, then you’re looking at 28 grams of fat before the day has even begun. If your favorite is a Hulk Strawberry or Hulk Vanilla then that’s 32 grams of dietary fat. If we go by the guidelines that 20% to 35% of total calories should come from fat, then 32 grams of fat works out at 73% of the recommended daily amount. If you’re following a cutting diet like the one found in Bigger Leaner Stronger or Thinner Leaner Stronger, this could be almost your entire daily allotment of fat. Eating lots of high GI foods, which cause strong and rapid spikes in blood sugar, can lead to an increased risk for type 2 diabetes, heart disease and obesity. In addition, changing the composition of the food (i.e. blending it) can change the way our bodies digest it. 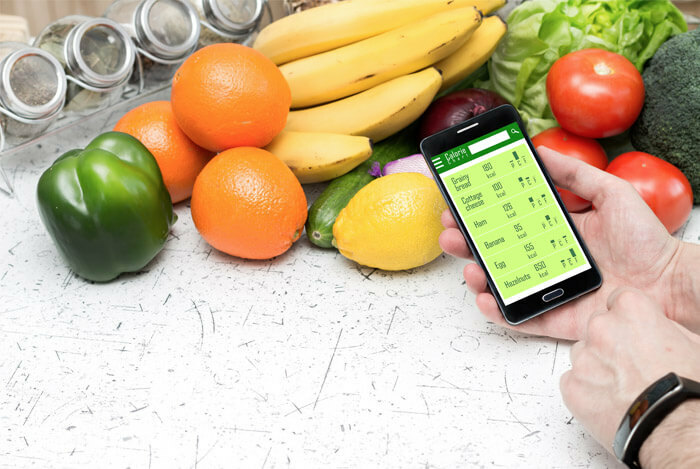 One study, published in the American Journal of Clinical Nutrition, looked at the metabolic responses to different forms of food. The researchers found that, with certain foods (like rice), blending it prior to eating it can cause the body to react with a sharper and faster spike in blood sugar. This isn’t a big deal in terms of blood sugar control if you’re otherwise healthy, but it probably won’t keep you as full for as long. The very act of chewing food is thought to help with satiety (the feeling of fullness). It also takes more time and effort to chew than to drink. This added chew-time may help you stay fuller for longer – one study found that people exhibited better levels of satiety when they ate at a slow pace. They also consumed 10% fewer calories throughout the day. On the other hand, a well-balanced smoothie with the right ingredients may well boost your feelings of satiety. 2015 research, published in the journal Appetite, found that whey protein (a common smoothie ingredient) is ‘highly satiating’ in resistance training athletes. 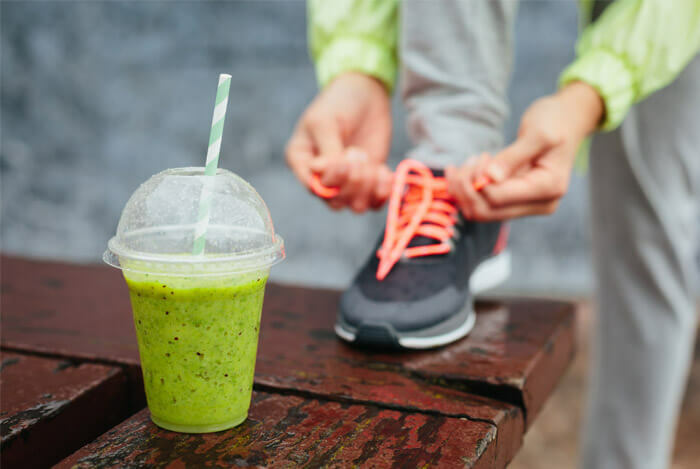 Other research suggests that drinking a green-plant shake in the morning may significantly lower hunger throughout the day and promote weight loss. Overall, smoothies can work for some people, and in some situations. 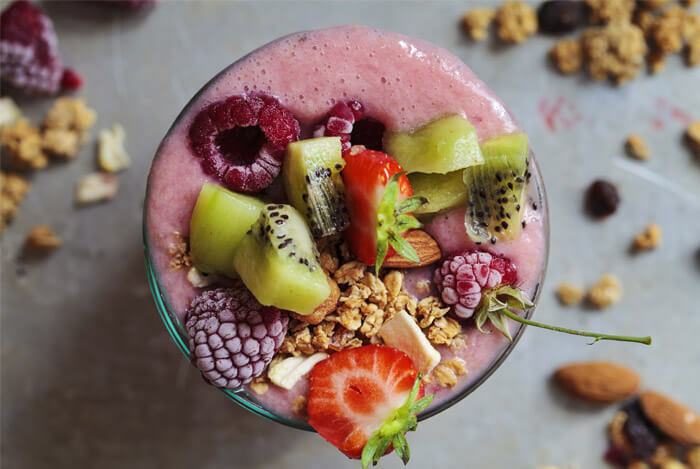 If you’re the kind of person who struggles to fit in fruit and vegetables every day, or who skips breakfast because you’re in a hurry, then smoothies may be for you. Thanks to the fiber, vitamins, minerals and antioxidants found in fresh produce, they’re a lot healthier than a stack of pancakes or a bacon sandwich. If they’re made just right – with plenty of greens, protein and a sensible amount of healthy fat – then they can be a pretty nutritious meal. Smoothies can also be a handy snack, as long as the calories don’t reach the dizzying heights of some of the store-bought varieties. Given the concern about the satiating abilities of smoothies, and the gray areas around their digestive benefits, there are better options out there. 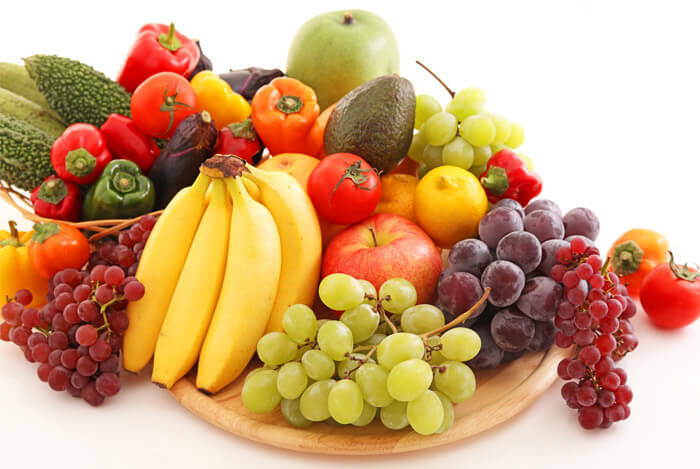 Namely, fruits and vegetables and other healthy foods in their whole form, eaten exactly as nature intended. By chewing on an apple, snacking on some nuts and adding avocado to your mixed greens, you’re getting all the components of the smoothie but as a whole food – which means you eat it slower, savor it more and basically get more bang for your buck. If you’re a die-hard smoothie lover, you’ll be happy to hear that it’s easy to lighten-up your favorite breakfast. Don’t use fruit juice as a base. A recent analysis of fruit juices found that they contain a huge amount of sugar. For example, Minute Maid’s 100% apple juice has more fructose per liter than Pepsi, Sprite, Coca-Cola, 7-Up or Dr. Pepper. Water or almond milk are better smoothie bases. 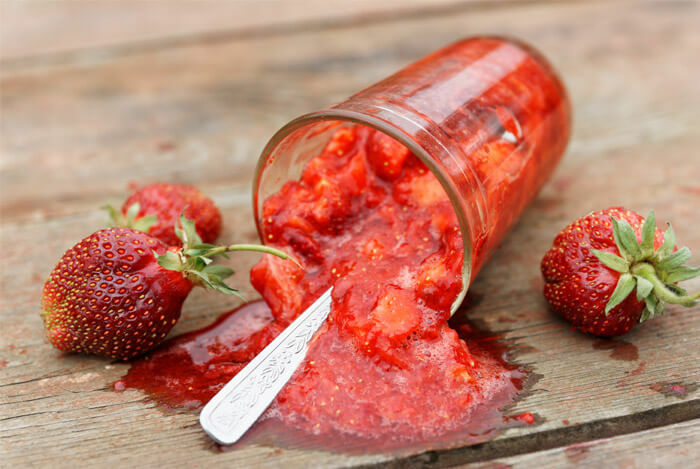 Avoid adding sugar sources like dates, honey or agave syrup – the fruit should be sweet enough. Keep an eye on the calorie count, fat and sugar levels. It’s worth knowing exactly how many calories you’re consuming from your favorite smoothie combination. That way you can see if it fits in with your weight goals, or needs a little tweaking! Smoothies have a lot going for them. They’re an excellent way to hit your daily fruit and vegetable targets and they can be a quick and easy breakfast. Furthermore, some research has found that protein shakes and green smoothies boost satiety and help with weight loss. On the other hand, they can be high in calories and sugar. 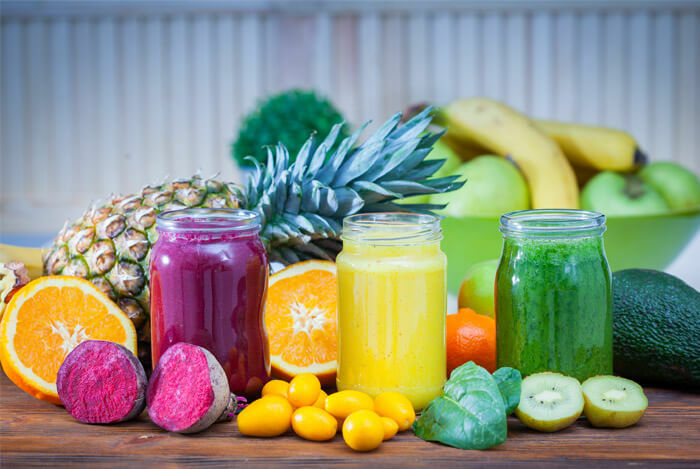 If you make healthy smoothies using no added sources of sugar, mainly vegetables and healthy amounts of protein and fat, they may have a place in an otherwise well-balanced diet. What’s your take on smoothies? Have anything else you’d like to share? Let me know in the comments below!